You can’t learn when you are hungry, which is why we have programs that specifically focus on providing food for school-aged children. But what about the people seeking higher education? Almost half of local college students struggle to afford food due to the increasing costs of housing, tuition, and books. The Food Bank partners with local colleges to help combat this nationwide problem through our College Pantry Program. Last month we started new partnerships with St. Mary’s College and CSU Maritime Academy. We are happy to be able to help serve the students at these new pantries as well as at existing pantries on the campuses of CSU East Bay-Concord, Diablo Valley College, Los Medanos College and Contra Costa College. Each college pantry operates with a staff member and many generous student volunteers. Most are open 5-days a week and enrolled students with a school ID can pick up free groceries at these little mini-markets. Students are able to pick out what food they want according to their personal dietary restrictions or food preferences. Shelf-stable foods available include pasta, fruits, vegetables, soups, beans, and rice. The pantries that have refrigeration are able to offer eggs, milk and juice. A couple of the pantries have freezers, so they are able to distribute meat as well. Each pantry is in charge of spreading the word on their campus. In addition to traditional flyers and newsletters, they often reach out to the masses via social media. Sometimes pantry representatives will speak directly to the students at the beginning of classes to ensure everyone knows about help is available. A recent Government Accountability Office report revealed the extent of college hunger, and schools have not only stepped up by opening pantries on campus, but they also welcome help promoting agencies and outside programs that can benefit their students. To aid with this effort, the Food Bank works with campuses and students to educate them on CalFresh. Many students don’t realize they qualify for this government assistance. A Community Relations Officer at Cal State East Bay explains it to students like this, “You get financial aid, now let’s get your food aid.” We also connect colleges in Contra Costa County with Contra Costa Health Services. They support the colleges by providing nutrition education materials and have even done cooking demonstrations on a few of the campuses. We are inspired by these colleges who are not only discussing the issue of student hunger but are taking action as well. We will continue to expand this program to other campuses and we are even looking into partnering with local adult schools. We are committed to being there for those who are pursuing their education today, so they can better provide for themselves and their families tomorrow. The Food Bank’s efforts to help during Northern California’s unprecedented fire season have been ongoing. The unpredictable nature of fire means things change quickly, but we have a team helping whenever and wherever we can be of assistance. In case you missed our prior updates, you can catch up by checking our Facebook posts on August 9, August 24 and August 31. Though the CARR fire is finally 100% contained, the devastation remains and many residents remain displaced. One of our staff members deployed to the area reported back that “people are tired–VERY TIRED, the air is bad and smells of toxic chemicals.” She explained that even though the conditions are really hard–with an almost unbearable combination of heat and poor air quality–people are so very thankful that we are there for them. Early on, we sent CalFresh outreach workers to the Redding area to help people affected by the fires apply for Disaster CalFresh. This federal program helps victims meet the temporary nutritional needs within a 30-day period following a natural disaster. Many of the people we met with were initially unclear about the benefits and assumed that they would not qualify because they aren’t eligible for traditional CalFresh. After we dispelled myths and clarified half-truths, people were surprised and relieved at the potential for benefits. 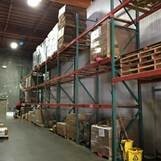 Many spoke of complete loss and while CalFresh won’t replace everything in their refrigerator, freezer, and pantry, they were grateful for our outreach assistance. Late last week it was decided that we’d continue weekly food distributions to Dignity Health Connected Living agencies through October to assist in the CARR fire recovery AND continue weekly food distributions to two low-income schools in Shasta County. We are receiving, processing and transporting emergency boxes from Feeding America, as well as donations of cereal and shelf-stable groceries from Kellogg’s and C&S Wholesale Grocers. We are donating and sending produce to the affected area. We are continuing to send staff to oversee these distributions in Redding. We are also communicating with agencies serving the Shasta and Siskiyou counties to see how we can help with the Delta fire AND with officials in Napa County to offer aid with the Snell Fire. It’s amazing what we can accomplish when we all work together for a common goal. Whether it’s fighting chronic hunger, or responding to a natural disaster, the Food Bank is prepared to help our neighbors get the food they need. It’s easy to take fresh summer fruit for granted. Many of us go to the grocery store or farmers’ market and place our seasonal favorites into the basket without giving it much thought. This is not everybody’s reality, which is why the Food Bank of Contra Costa and Solano works hard to provide healthy food to our community members daily. Farm 2 Kids is one way the Food Bank gets fresh food into the hands of people who need it the most. Children attending after-school programs within low-income schools are given 3-5 pounds of fruits and veggies weekly to share with their families. Farm 2 Kids continues to operate at after-school programs that are still in session even when school is out. Thousands of children who receive free or discounted meals through their schools are at risk of going without food during the summer. To extend the reach of Farms 2 Kids during this vulnerable time, the Food Bank gives out fresh produce at schools, public libraries and community centers where the federal Summer Lunch Program is available. Not only does this program nourish their growing bodies, but it allows children to try foods they couldn’t otherwise afford. A little girl in Fairfield told us they had never actually eaten a fresh pear before. She had only tasted canned pears and did not recognize the fruit in its natural form. We also learned of a boy at a Farm 2 Kids site in Vacaville who had only tasted a fresh nectarine once in their lifetime. His parents were not able to afford the sweet delicacy and they were all surprised and delighted when they received a bag FULL of nectarines. You can make a difference to the children in our community by volunteering to bag produce in our Fairfield warehouse or making a financial gift to the Food Bank. Your investment in the development of our future generation will have a lasting effect on our society.